MarqueeTable Numbers, Love in Lights, Hollywood Glam, Hollywood Movie Table Numbers, Love Lights 1 - 50 Instant Download and Print. 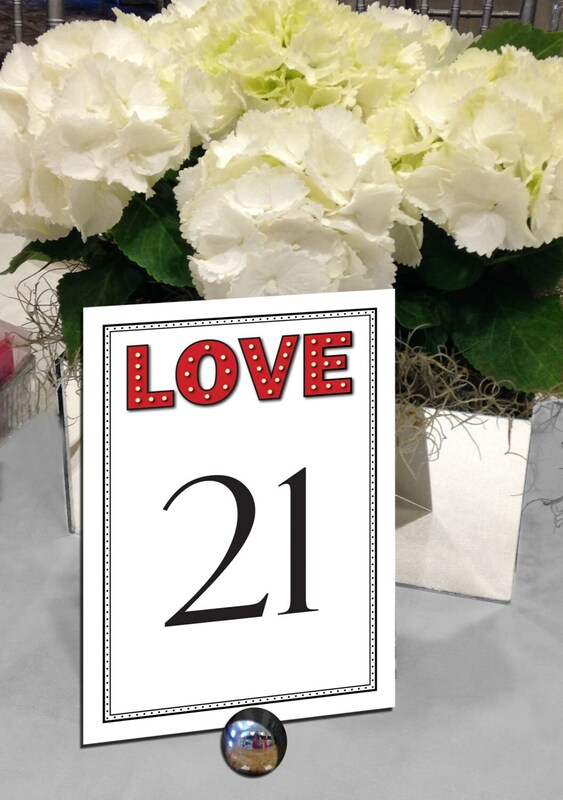 Add a romantic touch to your special day with these Love in Lights Table Numbers. Great for the DIY bride or party planner looking for stylish wedding decor! Black border and numbers. Graphic of the word Love stays red. ♥ LOVE THIS DESIGN BUT WANT A DIFFERENT COLOR? With this design you can change the numbers and border colors.